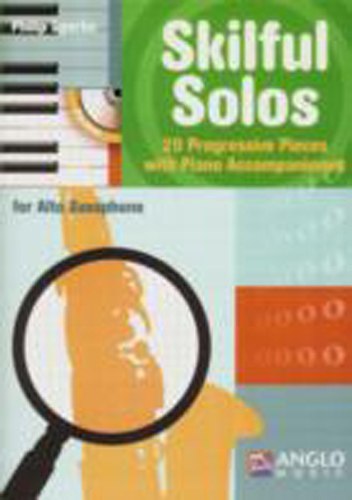 Skilful Solos - Alto Saxophone - Book & CD. Is the second volume of a progressive series of solo books that take the young wind player from beginner to accomplished musician. Following on from the first book in the series (Starter Solo ) this collection generally contains longer pieces suitable for the developing young musician. Specifically tailored for each instrument. Skilful Solos introducesthe concept of phrasing by suggesting suitable breathing points and lots more.